This Harmony Plus comes with a No.30 blade for typical veterinary use. It can still use the whole range of blades so it is easily adapted to larger animal use ie Cattle TB testing. The long built in battery life and compact size makes this clipper well suited to vet use both in the field and in the surgery. High efficency brushless motor with 10,000 hour lifetime. 1.5-2 hours operation from a 3 hour charge. 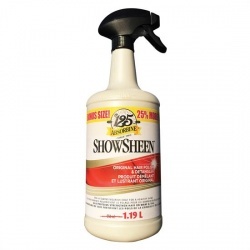 Ideal for horses, dogs, pets and veterinary use. Comes complete with carrying case, oil and brush. 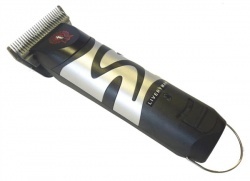 The Liveyrman Harmony Plus animal clipper is the big brother to the older Harmony clipper. The Harmony Plus utilises the clip on type blades so there is no tensioning to worry about. It can use blades from Andis, Oster and Wahl (A5 type) so there is an enormous range of different blades available. The brushless motor gives higher efficiency ( hence better battery life ) and also delivers a lot more power to the blade. This in turn makes for easier and faster clipping. The Harmony Plus has the additional benefit of a built in battery so if required there are no wires trailing from the clipper to upset nervous animals. Comes with no.30 narrow blade .